Medications are not the only thing physicians prescribe. Diet and exercise are also an essential part of our prescription for health. While technically it is summer year round in Florida, there is something about the official change of season that spurs us to focus on losing weight and getting in shape. Not drinking enough water. Working out causes you to sweat and lose water weight. While you may be excited to shed the pounds, replenishing water levels is vital to proper body functioning. This is why it is best to drink water before, during and after exercise. Not eating before and after you exercise. Failing to properly fuel your body can actually cause you to gain weight because your body compensates by slowing down your metabolism. Then, when you eat later, your body metabolizes food at a reduced rate. To avoid this pitfall, be sure to make meals around workouts a priority. Only eating at breakfast, lunch and dinner. Sticking to this traditional meal pattern is ineffective for those who regularly exercise because they end up eating larger meals than intended. 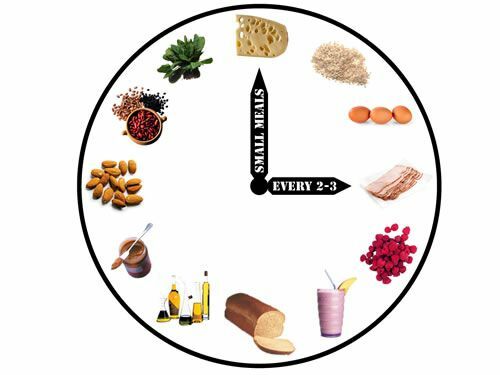 If you want your metabolism to work properly, feed yourself slowly throughout the day. Remember: a slow burn is better than a blazing inferno. Muscle Milk and other shakes containing whey protein are good supplements in between meals to augment protein intake. Eating a low-fat diet. Low-fat foods often have added sugar to improve taste. Sugar signals your body to store unnecessary fats which undermine your exercise regimen. Carefully monitor food labels to avoid this nutritional trap. Cutting out good fats from your diet. Healthy fats help store energy to get you through your exercise routine. Be sure to incorporate monounsaturated fatty acids, like olive oil, and polyunsaturated fatty acids, found in sunflower oil, into your diet to get the most out of your exercise. So eliminate the feast or famine mentality, include the right type of fats, water yourself regularly and take pride in the fruits of your labor.